Legal form: A Limited Company registered in London and incorporated in the UK. Service: Plumbing and heating installation, servicing & repairs. Registered office and postal address: SHAPE Contractor Ltd, 15 London Street, Andover, SP10 2NU. Public registers: Details about the limited company’s registration can be viewed at www.companieshouse.gov.uk under reference number 8538143. Regulating body: Gas Safe registered no. 579933. 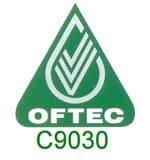 OFTEC registered no. C9030. General terms and conditions: A letter or email of engagement, accompanied by our standard terms and conditions will be provided at the start of any contract for works. Work Guarantees: All workmanship is guaranteed for 2 years after the date of completion. Boilers & parts are also subject to a specific manufacturer’s warranty details of which will be provided on request. Your statutory rights are not affected by our guarantee. Guarantees are insurance backed. Complaints: Complaints can be made by contacting SHAPE Contractor Limited at the above address. If we cannot resolve any complaints using our own complaints procedure, as a Which? Trusted Trader we use Ombudsmen Services Ltd for dispute resolution. In the unlikely event of a complaint arising and you wish to refer the complaint to them please contact Which? Trusted traders in the first instance on 0333 241 3209.